I will not delve into the unending discussion of the Maltese nation’s sentiment on Mintoff, but rather focus on the impact of his memory on current political developments. True to form, our Prime Minister and his progressive and liberal clique sought to take advantage of the 100th anniversary of his birth. To use his political heritage for their gain. To assert that they are the direct descendants of Dom Mintoff’s political legacy. They chose Cospicua, Mintoff’s birthplace to do so, where 18 years ago Mintoff was branded a traitor by the then leadership of the Labour Party. For a full week before the event, Labour media bombarded its listeners with the important news that Prime Minister Joseph Muscat was going to commemorate Mintoff with a major speech and party celebration. The fact that Cospicua is a strong Labour stronghold, together with the attention Labour’s media gave to the occasion, the Prime Minister and his strategists thought that they would have a great photo opportunity and further consolidation. But the unexpected happened. On the great day, roads were blocked. Traffic was diverted. The set was made ready and the media was in place, ready to roll. Microphones and loudspeakers strategically placed. The posh chairs for the distinguished guests formed nice neat rows where the new VIPs could be seen by all. PL was clearly expecting thousands to come to the event. But, after all this effort… only a very small handful of people turned up to listen to the Prime Minister in his own stronghold! The blocked roads were empty. Chairs set up for the occasion were hastily removed before Muscat appeared so that the absence of people was hidden from TV viewers. In total there were only around 100 people at this event. Many, if not most of these, were the party officials and entourage of the different ministers and those that follow the Prime Minister wherever he goes. Could it be that Mintoff was already forgotten or was it an absolute rejection by the grassroots of Muscat and his liberals? The very clear answer to this question would come eight days later. 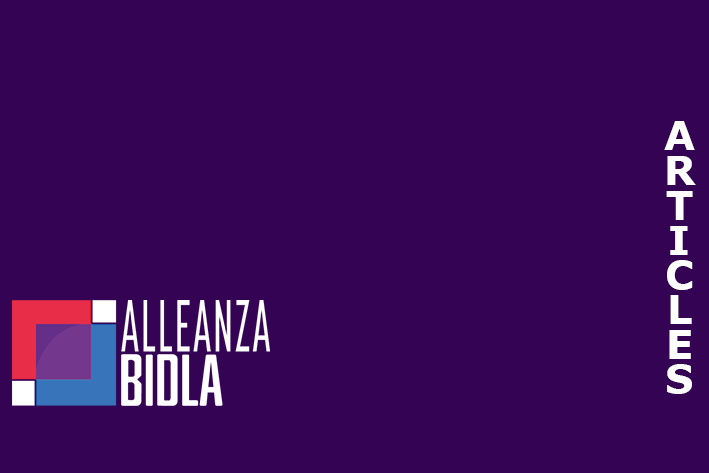 On the actual day of the centenary – 6th August 2016 – Alleanza Bidla held two separate celebrations to pay the respect due to Dom Mintoff in a proper and dignified manner: a celebration by the people for the people. Accompanied by a marching band, we walked from Freedom Monument in Birgu to his statue in Cospicua. And the people came! They sang along to the music. They clapped and waved from windows. They thanked us and spoke to us. They told us that they had purposefully boycotted Muscat, not Mintoff. That night, we held another dignified celebration. Again, open to the public. Well–known singers sang expressively and openly expressed their love for Mintoff. Għannejja came and sang beautifully. Everyone offered their services voluntarily “because we are obliged to him – “għax aħna obligati lejh”. And there were even more people than in the morning! Clearly then, the people came out for Mintoff. Again People spoke to us about the good state that Mintoff had left them in. But more importantly, they spoke about their present pain. Mintoff, they said, was not into “expensive” statues. He would not have wanted ‘jackets, ties and by invitation only’ receptions organised this week in the Office of the Prime Minister to commemorate his memory. He would want traditional Għana in the company of the common folk whom he felt most comfortable with. He would want to see the happy faces. Exactly in the way Alleanza Bidla had presented him. He would then want hard work with real results. “His statue is in our hearts and no one will take that away. For us, there will be no one like him!” It is clear that the tide has turned and that Muscat has failed a very serious test. We knew his popularity was dwindling even in his own district. We knew that even in Cottonera itself, the voices of dissent are becoming louder and louder. We did not know that the Prime Minister’s standing was so bad that his events would be boycotted even by the party grassroots. As I drove home from our event, exhausted, I could feel him grinning happily. Mischievously, even. I could hear him repeat what he once taught me “It-tajjeb jibqa. Il-ħażin jispiċċa”. And I could not help grinning too. Let’s face it, PL movement is sick internally. Dom Mintoff being my uncle means that inevitably many Labourites are phoning me up or stopping me in the streets to discuss politics. Many are now openly saying how bad everything is under the present administration. The fear of any repercussion for talking is slowly being replaced by boldness and open talk. Open rejection. I am sure that the central party administration or id-Dar tal-Ħġieġ as the Cottonera Labourites started to call the new headquarters, do actually feel the pinch of this new reality. This move to appease and take advantage backfired big time. And the message from the grassroots was clear. Everything with the PL celebration was wrong. Why was it celebrated eight days before and not on the actual day itself? The Prime Minister’s speech rang false and struck the completely wrong chord for the occasion. Muscat stated that Mintoff would be proud of Muscat’s achievements “as today the best present we can give to Mintoff was that Malta has the lowest unemployment rate in the EU”. This clear tap on his own shoulder was further reinforced later on in the week with a follow-up statement that “the middle class in Malta was growing and poverty is being eradicated”. First, it is now an acknowledged historical fact that Mintoff eradicated poverty in Malta and yet it is now back. Secondly, as anyone who knew him would acknowledge, bringing in the EU into a commemoration about Mintoff is just wrong. As his nephew, I find this insulting to the memory of my uncle. The Malta-EU relationship, as proposed by Eddie Fenech Adami, was repeatedly rejected by Mintoff but has now been fully embraced by Muscat. Mintoff believed that “dan il-pakkett huwa ħażin għal Malta” – “The Acquis Communitaire is not good for Malta”. He even coformed Front Maltin Inqumu to fight this “sell-out” of his country. He had already previewed that there is going to be oneway relationship where Malta would be absorbed and dominated by bigger countries. For him, this was a return to the colonial era. Unacceptable. In truth, Muscat is throwing into the dustbin what Mintoff held most dearly. Mintoff fought so hard for Maltese sovereignty and independence. He wanted and fought against all odds so that his country would be sovereign and free to make its own democratic decisions. Muscat is reversing all this, making Malta totally subservient to the EU. Irrespective of what some say, Mintoff based his Labour policies on the teaching of Christ. I do not expect Muscat to pepper his discourses with quotes from the Bible, as Mintoff did, but Mintoff would surely have never allowed the passing of a law, as Muscat did, for the vilification of our God! In the sphere of foreign affairs, he would have used Malta’s neutrality brilliantly to strengthen the political stability of the region. Not to undermine peace by taking sides and rejecting assistance to the UN itself and to our neighbours who need and have repeatedly asked for our active help only to be ignored. Mintoff was a staunch defender of Malta’s neutrality. Muscat is on record stating that this is no longer important and allowed the EU to undermine our neutrality. Mintoff would have appreciated real job creation, irrespective of who created it. But he would have never allowed millions of the people’s money to end up in very dubious private foundations. He would have balked at the Panama scandal and more. Mintoff would have never approved of hidden business deals and contracts regarding our energy. He respected Parliament and unlike this Government, always tabled vital economic contracts in Parliament. To state that poverty is decreasing is nothing but an insult to the many thousands who have seen their standard of living plummet. Who have their electricity cut and cannot keep up with bills for vital necessities. Mintoff made sure that the lifestyle of everybody, in particular those at the lower end, spiralled up and everyone had a decent living income. Mintoff would not have squandered tens of millions on the shameful and useless CHOGM or the Migration Summit. Nor would he have paid large sums of money for absurd monuments. In his time, monuments were constructed by government employees in what was known then as the Department of Public Works. Mintoff would not have indulged in self-inflating exercises. He would have invested public funds in projects related to public health or housing and more. These were his main priorities. He would have invested more in vocational education and would not have been carried away by harmful agendas like the gender indoctrination of our children in state schools. Finally, he would never have sold one shred of Maltese land let alone the vast amounts of land being given away to foreigners for nothing but land speculation exercises. The number of people in Malta who are now suffering as a result of Muscat’s harmful policies and actions that bear no resemblance to the policies of Mintoff grows by the day. I’m looking forward to the next 100 years of Mintoff who will not go away. Thanks to the controversy he stirred up in his life time, Mintoff’s legacy will remain. His name is still being heard and his voice listened to. The Mintoffjani will not allow him or his work to be forgotten or erased. This, of course, will be done through action and not by mere words. Ad multos annos, Perit!